Bayer Leverkusen will be aiming to build on a hard-fought 1-0 win over Stuttgart when they welcome Nurnberg at their BayArena on Matchday 30. Peter Bosz’s men did well to put an end to their three-game losing run in the German top flight, with the team rejoining the race for a place in European competitions. Over the years Bayer Leverkusen have turned their BayArena into a real fortress and we are positive that they are going to pick up all three points from Saturday’s football game. 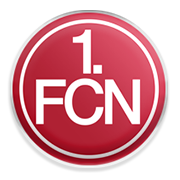 Nurnberg, on the other hand, have slim chances of securing the Bundesliga survival and we do not believe that they are capable of upsetting Peter Bosz’s men on Saturday afternoon. In their last meeting in Leverkusen Bayer recorded a 3-0 win over Nurnberg, which is yet another reason why we are tempted to put our money on the hosts. Dominik Kohr is a product of Bayer Leverkusen’s youth school. The German midfielder was born in Tier on 31 January, 1994 and he made eight appearances for the Bundesliga side at senior level. He spent the 2014/2015 season on loan at Augsburg, playing 34 games for the club in the German elite division and his loan was made permanent at the end of the season (18 June, 2015). He scored his first goal for the club from the penalty spot in a 1-0 win over Wolfsburg. Kohr has four caps for Germany U20 and he played for the U18 and the U19 teams in the past as well. Dominik Kohr is a central midfielder, but he is capable of playing as a defensive midfielder and a centre back as well. He has a contract with Augsburg which expires on 30 June, 2019. Kohr played 26 games for Augsburg in the 2015/2016 Bundesliga campaign.